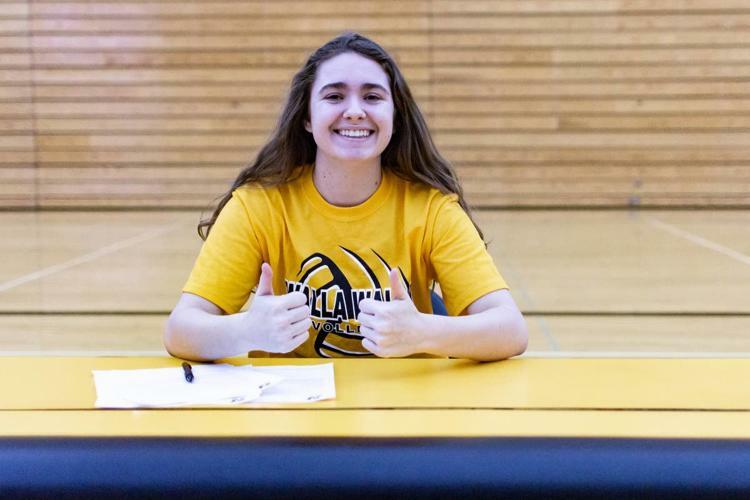 As the volleyball coaches at Walla Walla Community College scouted Lewiston High’s Kassie Collins, they liked her craftiness as a hitter, among other qualities she brought to the court. And the feeling of admiration was mutual. Collins, a senior, signed with WWCC recently. “We expect her to be an impact player right away,” WWCC coach Chelsie Spear said. Collins this past season racked up 256 kills and 208 digs for the Bengals. Collins is the daughter of Mike and Tracy Collins, respectively the running coach and trainer at Lewis-Clark State College. L-C’s nickname is the Warriors, same as WWCC. “I hope I am able to contribute to their tradition and success right away,” Kassie Collins said of WWCC. Mike Collins said that his daughter had plenty of college volleyball options from all over the country.